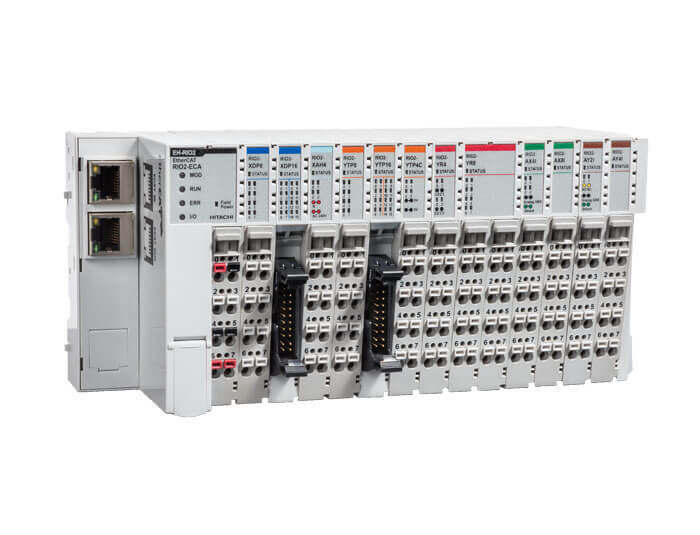 The EH-RIO2 series of Remote I/O modules allows you the flexibility to distribute I/O throughout your application. Using EH-RIO2, you can precisely plan and expand your I/O and locate them right where they are needed: close to the sensors and actors. A proximity which pays back: By mounting I/Os in a junction box directly on or near the machine, you minimize wiring and eliminate the need for further control and cabinets. This solution benefits today’s modular production processes and is especially advantageous when upgrading centralized automation systems.